Based on recent research by August, 30 million households are expected to switch to smart homes in the United Stated by next year. Family safety becomes the top motivator for adopting smart home technology (63%) followed by convenience (53%). With the advancement of mobile devices that are connected to different technologies, smart homes have now become more widely accepted by homeowners. Smartphones are no longer just for communication, as mobile manufacturers and app developers have developed many smart home solutions that utilize the device’s processing power. For example, Apple introduced the HomeKit in 2014 that turns the iPhone into a remote for smart homes. With the release of the iOS 10, new features were introduced that makes high-tech houses more intuitive and seamless. O2 mentioned that the new iOS is one of the reasons why there’s nothing like the new iDevice. The new and improved HomeKit on iOS 10 now utilizes the 3D Touch so users get a quick feed allowing them to see their doorbell camera and much more through their smartphones and smartwatches. 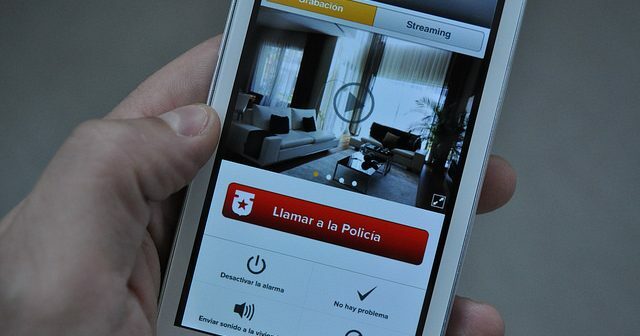 There’s also a dedicated Home app that organizes third-party HomeKity control apps in a single place. However, just like any other technology, smart homes are being questioned in terms of security and safety. In fact, security flaws have been found in many popular smart home systems. Regardless of how safe particular devices are or claim to be, there’s always vulnerability in tech. Secure any internet connection in your home by updating the router. Disable any guest network access and protect your connection with a strong alphanumeric password. Be aware of the smart devices in your home and how they are connected. This will help you keep on top of system updates, passwords and more. Only purchase your smart devices from trusted brands as it guarantees a high level of security with regular system updates. Install all updates immediately. Always install security software on mobile devices, especially those being used to control IoT gadgets. While there are ways of creating more complex authentication for smart homes, many consumers are still discouraged to use house technologies that require multiple authentication steps. Instead, most homeowners prefer efficient home technology systems like the biometric sensors as their smart home security solution. More than half said the fingerprint scanners are the best authentication system, followed by voice recognition (46%) and eye scanning (42%). The more connected technologies become, the more personal data it can gather which are prone to security risks. When building your smart home, always keep security in mind. Consider what you connect to your network and how to keep personal digital data safe.